Luxembourg is a country that literally developed around its capital city of the same name, and is smaller than the U.S. State of Rhode Island. The history of the country begins the year it was founded in 963, and since then Luxembourg (the city) known by the Roman (Luciilinburhuc), has endured many centuries of cultural and political change. During the 14th and 15th centuries Luxembourg fell under the rule of the Holy Roman Empire as an independent county. However, after the lack of a male heir to assume the throne, Luxembourg was sold to the Duchess of Burgandy. Over the next few centuries the fortress of Luxembourg became occupied by the Bourbons, Habsburgs, Hohenzollerns and French. Then, following the defeat of Napoleon in 1815, Luxembourg fell in between a conflict amongst Prussia and the Netherlands. 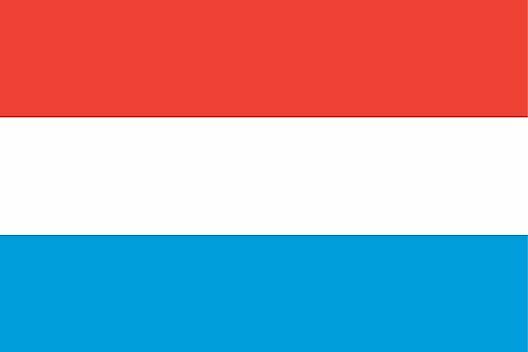 In 1867 Luxembourg officially gained its independence and was declared permanently neutral. Germany invaded Luxembourg during World War I, despite their neutral state, but allowed the country to keep their independence. However, with Germany's second invasion during World War II, Luxembourg became an important location on the invasion route to France, and subsequently lost their policy of neutrality. In September of 1944, Luxembourg was freed from German rule, and became a founding member of the United Nations in 1946; followed by NATO in 1949, then the European Union in 1957. This beautiful slice of land at the crossroads of Western Europe is today a prosperous constitutional monarchy, one known as an international tax haven and banking center. For travelers, the Grand Duchy of Luxembourg is replete with historic monuments, fairy-tale like castles, and the not-to-be-missed capital city of Luxembourg itself. Sitting high on a cliff, parts of the city are listed as UNESCO World Heritage Sites. Major points of interest include the Gothic Revival Cathedral of Notre Dame, the Grand Ducal Palace and the old city center.